Virgin Atlantic will shortly be taking delivery of its first two Airbus A330s which will go into service in April on its mainly leisure routes from Gatwick and Manchester to Orlando. Eight more will be delivered over the next two years. For Virgin the aircraft are a big breakthrough, the first “twins” to be operated by the company, and also the first aircraft without Upper Class, the airline's award winning and innovative Business Class. The Virgin website indicates a layout with 59 seats in Premium Economy (2+3+2) and 255 in Economy (2+4+2)t.
London City Airport users and other motorists in the eastern part of London should be aware that from today onwards new average speed cameras will be active on the A13. The scheme, the first of its kind in the UK, will begin operating between Canning Town and the Goresbrook Interchange. Hopefully it will help reduce the number of deaths and serious injuries on this stretch of road; notorious for collisions. A total of 84 cameras, based at 37 locations, will monitor the speed of vehicles as they drive along the A13. If the average speed for a vehicle along the stretch of the road they drive along is above the speed limit, the owner of the car will be issued with a Notice of Intended Prosecution (NIP) by the Metropolitan Police. 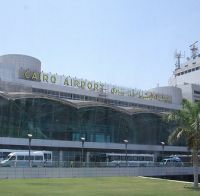 Egyptian flights, particularly to Cairo, are causing concern at the present time as the situation deteriorates in Africa’s largest city. Some European airlines modified their schedules on Friday, cancelling some flights, all due to the curfew in Cairo, which although not enforced would have an effect on ground travel for both passengers and crew. British Airways, now part of International Airlines Group, postponed its daily service from London to Cairo on Friday because of the curfew. 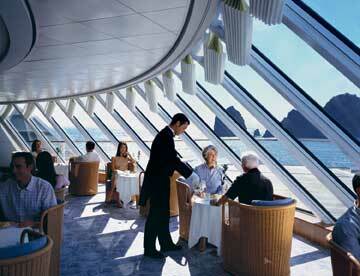 The airline offered hotel accommodation to stranded passengers. BA's operations to and from the Egyptian resort of Sharm el-Sheikh continue as normal. British Midland are due to operate today, but to a new timetable. Delta Air Lines suspended service to Cairo indefinitely. A Lufthansa spokesman said the German airline had cancelled one flight due to leave Cairo for Frankfurt on Saturday morning because of the curfew. Air France has changed its schedule for flights to Cairo so that aircraft land and take off to avoid the curfew hours, a spokeswoman for the airline said. One flight was cancelled on Saturday but otherwise it was business as usual until further notice, she said. India's ambitious budget airline IndiGo will start international operations in August, the company said in a statement last week, only days after it placed a huge order for 180 new aircraft. 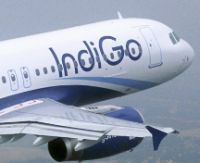 The Aviation Ministry has approved IndiGo's proposal to launch services to Singapore, Bangkok, Dubai and Muscat. 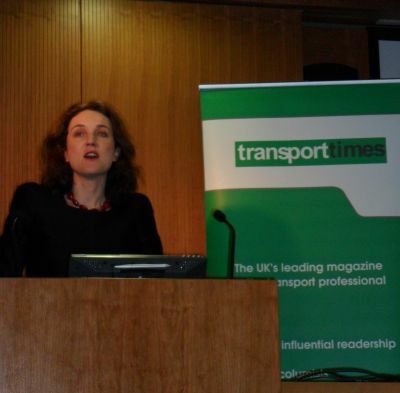 Transit or stopover passengers can represent big numbers for some airports, typically Heathrow with at least 20% of the incoming traffic making a connection and passing on to further destinations. 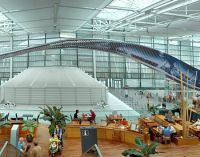 Munich Airport is another key European hub keen to attract this potential business. It has now introduced what it calls its “Stopover Guide” enabling inbound passengers to quickly and easily transform transit time into a satisfying and culturally enriching experience. The free guide, available in hard copy form at the arrivals gate and information desks presents options for travellers with time – from one hour to a full day – to spare. 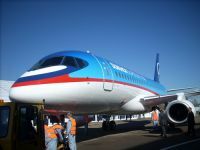 Sukhoi’s Superjet 100, a joint Russian/Italian competitor to the Embraer E series and Bombardier CRJ aircraft, has received type certification from the Moscow-based IAC AR, the Russian certification authority. Armenian Armavia will receive the first two aircraft, followed by Aeroflot, which has ordered a total of 30 with an option for 15 more. A formal announcement is planned for later this week when the delivery schedule is expected to be announced. Alenia Aeronautica, a Finmeccanica subsidiary, is a major investor into the company. 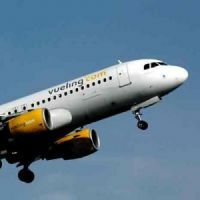 The Spanish government has approved an agreement between Iberia and Vueling enabling the low cost airline to increase its number of routes from Madrid to other Spanish and European cities, offering not only point to point services but also connecting services with Iberia. Details will be published shortly with the services operating in the second quarter. The arrangement is initially only for eight months. HMS Hosts, the airport retail specialist, is planning an expansion of its UK operation and into Europe. It currently operates in 111 airports around the globe, including 20 in Europe and the 20 busiest in North America. HMS Host is part of Autogrill, the world’s largest provider of food and beverage and retail services for what it calls “people on the move”. Autogrill also owns World Duty Free. 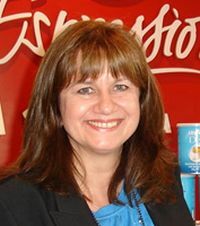 Heading up the European expansion is Dawn Wilding, English but established in Amsterdam, and with over 20 years in the international catering industry. STEM™ (Short Term Executive Management), has been launched, a new bespoke service designed to help privately owned boutique hotels. With the continuing expansion of the multi-national chains and their attempts to swamp the market, at the other end of the spectrum there has been a significant growth in high quality small hotels offering a personal service that the majors cannot compete with. Established by Dutch national Robert van Eerde, originally a hospitality graduate from the University of Sussex but now with over 23 years of experience in the hotel industry, STEM is able to take on the “head office” functions that boutique hotels may have limited experience in. The essential idea to offer a flexible system so that hoteliers can call on its services in the required areas – a cost effective alternative to calling in support independently. Plymouth City Airport's last flight to London will take place today despite desperate efforts by the local Chamber of Commerce to save the four times daily operation to Gatwick by Air Southwest, now a division of Eastern Airways. The routes to London, which at one time included both Heathrow and London City were pioneered in the early 1980s by Brymon Airways. 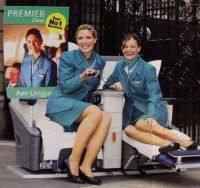 Aer Lingus passengers should be aware that disruptions are likely to occur over the airline's network this week as weekend talks between the airline and its cabin staff union have failed to resolve an ongoing situation with the cancelation of about 10% of services during the last fortnight. 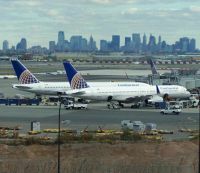 John F Kennedy and Newark, New York’s two major airports must be expanded and redesigned to handle the area's growing transport needs, according to a new report. The number of airline passengers in the New York region is expected to surge to 150m by 2030 from 104m passengers, said the report by the Regional Plan Association, an urban research group, partly funded by the Port of New York and New Jersey which runs the airports. London by comparison moved around close on 130m passengers with a much larger international proportion. It is not feasible to expand LaGuardia Airport, the report said. Lufthansa is to launch in May a daily Airbus A380 service from Frankfurt to San Francisco (SFO), the airline’s fifth Airbus A380 destination and the first carrier with the aircraft into SFO. The carrier will operate the service under the present flight numbers LH 454 and LH 455, replacing a Boeing 747-400 currently offered on the route. The new Lufthansa flagship is configured with 526 seats, eight in First Class, 98 in Business Class and 420 in Economy. Lufthansa will also continue to serve the "metropolis of the Pacific coast" from Munich daily with an Airbus A340, sister company Swiss serving the city with an Airbus A340 from Zurich. Lufthansa has established the A380 on flights to Beijing and Tokyo. 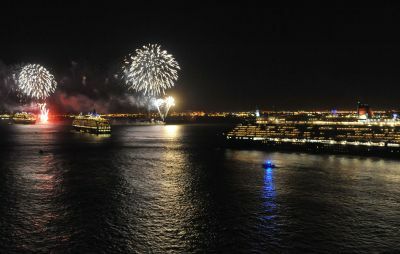 From the end of February it will also operate to New York. The airline has issued some interesting statistics regarding the A380. With the new service the fleet will be undertaking 70 long haul flights per week, covering a distance of more than half a million kilometres. Each week, almost 37,000 passengers will have an opportunity to fly on an the aircraft. Deploying the A380 will enable Lufthansa to increase its capacity on flights to San Francisco by 31%. www.lufthansa.com/A380. European Commission officials have blocked the proposed merger of Aegean Airlines and Olympic Air on the grounds it would create a quasi-monopoly in the Greek air transport market. The EU says that a merger would lead to higher fares for four out of six million Greek and European consumers travelling on routes to and from Athens each year. On the Greek domestic market the two carriers control 90% of the market. 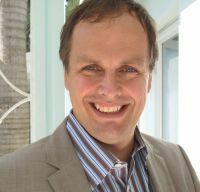 It also points out that at the present time it is unlikely that another airline would enter the market. 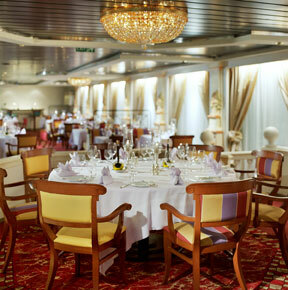 Aegean is a member of Star Alliance and from Athens serves Heathrow at Terminal 1. Olympic is owned by Greece’s Marfin Investment Group and at Heathrow uses T4. BA also operates the route from T5, as does easyJet from Gatwick South. The airlines had offered to cede take-off and landing slots at Greek airports, but Greek airports do not suffer from the congestion observed at other European airports in previous mergers or alliances. Litigation has been put on hold between American Airlines and Sabre (as reported 17 January issue of AERBT). The two companies have said they will try to reach a deal to end a dispute over how the carrier's fares are displayed to travel agents and customers. 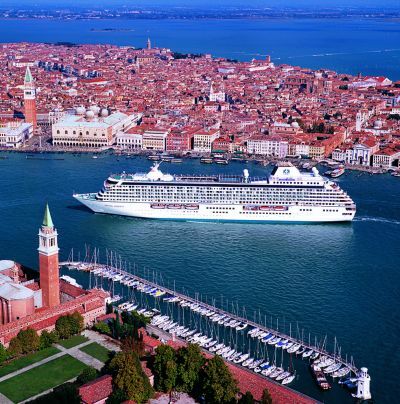 In a joint statement they confirmed they would return to operating as they did prior to 5 January, when Sabre said it would change how it displays the carrier's fares to ticket buyers. Earlier this month, American Airlines won a court order temporarily blocking Sabre from presenting its fares in a manner the carrier fears might steer customers to other airlines. 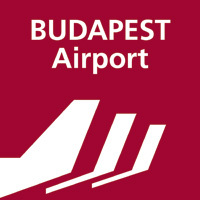 Air Baltic and Qatar Airways, two somewhat diverse carriers, are in the news this week in respect of Budapest. With regard to Air Baltic, the fast expanding Riga-based national carrier of Latvia is to introduce a four times per week Riga – Budapest service on 14 May operated by a Bombardier Q400 propjet. Flight time for the two-class operation is 2hrs 15mins. 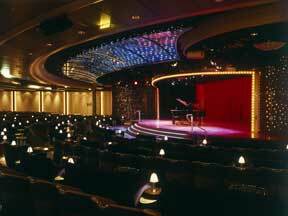 Ramada has opened it first Encore property in the Middle East. Situated in the Al-Asmakh area of Doha, less than three miles from Doha International Airport, the hotel is the second Wyndham Hotel Group property to open in Qatar’s capital. The Ramada Encore Doha is located on Ahmad Bin Mohamad Bin Thani Road and offers 111 guestrooms with free wired internet access and all the latest amenities. 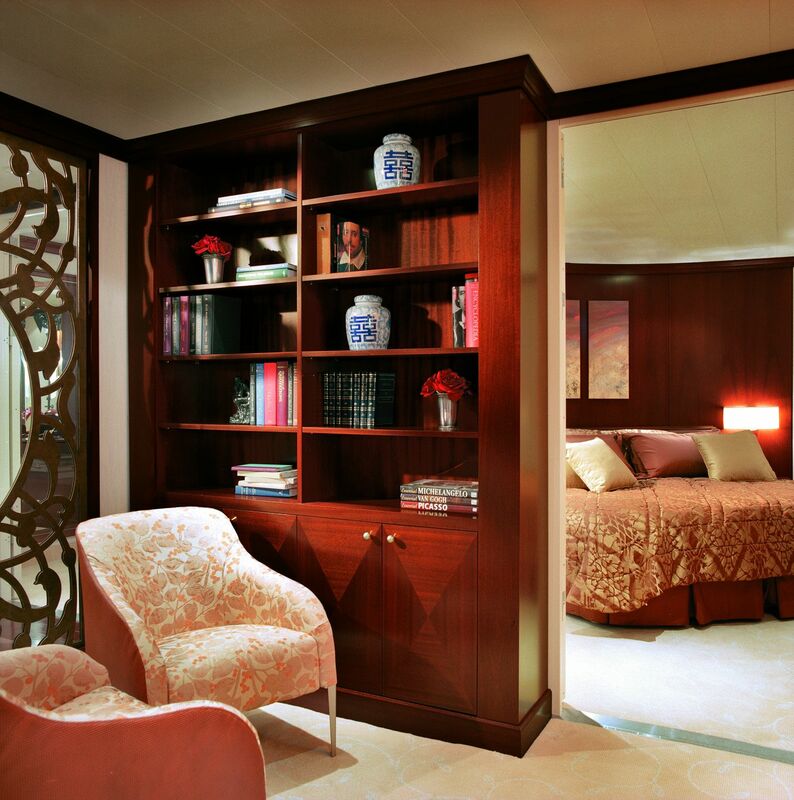 All feature queen or twin beds, a spacious work desk, mini fridge, tea/coffee maker and an electronic safe. 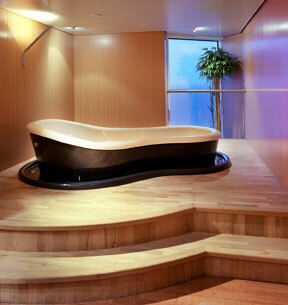 Rooms on non-smoking floors and interconnecting rooms are also available upon request. Ryanair, in what is seen as something of a climb-down, has returned to Manchester Airport in quite a big way. Fifteen months ago it pulled all its routes with the exception of Dublin, claiming that the airport charges were making them unsustainable. 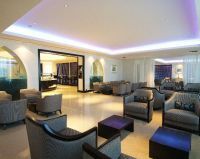 Muscat International Airport has seen the unveiling of Oman Air’s spectacular new First Class and Business Class lounges. They are both located on the first floor of the terminal. Each lounge is open 24 hours a day and offers dedicated dining facilities, quiet rooms, men’s and women’s prayer rooms, wash and shower rooms, a business centre, and a “Chedi” spa with massage rooms, offering complimentary 15-minute treatments. First Class passengers can use dedicated lifts and staircases to the limousine pick-up point where chauffeurs will take passengers to their aircraft in complete privacy and comfort. For those travelling with children, a wide choice of toys and computer games awaits to keep them occupied within the dedicated playroom. Airbus has signed an order with Thomas Cook Airlines for the leisure carrier to take 12 A321 series aircraft, as it consolidates its narrow bodied fleet. It currently operates both the A320 and Boeing 757. 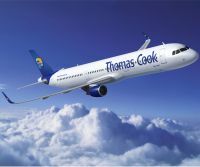 In addition to the firm order, Thomas Cook Group plans to lease A320 Family aircraft from operating lessors. Sharklets are large wing-tip devices that will enhance the eco-efficiency and payload-range performance of the A320 Family. They are expected to result in at least 3.5% reduced fuel burn over longer sectors, corresponding to an annual reduction of around 700 metric tons of carbon dioxide per aircraft.